For graduating high school students in Harrison County, it’s scholarship season! The HCCF Universal Scholarship Application enables graduating high school students to apply for the Building Our Future and Indiana University Southeast renewable scholarships, Founders Vocational scholarships and most of HCCF’s charitable endowment scholarships at the same time with one application. The Universal Scholarship Application must be submitted online by 4 p.m. on Sunday, Jan. 20. Only complete applications will be considered. To learn more, contact Heather Stafford, Director of Programs, at 812-738-6668 or heathers@hccfindiana.org. 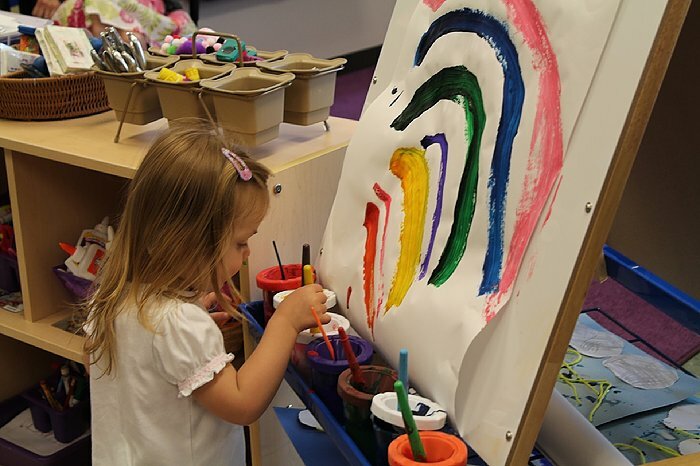 Parents of 4-year-olds: Many high-quality child care providers in Harrison County are still accepting 4-year-old students in preschool. If you work or are attending classes, you may be eligible for FREE preschool, FREE before and after school care, and FREE summer child care. To see if your family is eligible, fill out the short online application. This month, HCCF awarded four grants to Harrison County-serving organizations. The total amount awarded was $227,600, which was made possible as a result of the generous support from community donors and Horseshoe Southern Indiana. The Town of New Middletown was awarded $12,000 to rehabilitate an existing building into a community center and town offices. The grant is part of the required local match for an Indiana Office of Community and Rural Affairs grant through the Community Development Block Grant Program. HCCF’s award of $12,000 will help leverage $255,753 of state dollars for this project. Blue River Services Inc. (BRS) received $195,000 for the infrastructure and construction of 10 affordable apartments for individuals and families in New Salisbury. The grant is a large portion of a required local match for an Indiana Housing and Community Development Authority HOME grant, which BRS will apply for in February. Once all funding is in place, this grant will leverage $1,491,000 of state and federal dollars. Personal Counseling Service Inc. (PCS) was awarded $17,500 to provide direct counseling to uninsured and underinsured Harrison County residents through collaboration with Counsel House and PCS therapists. Also, Metro United Way received $3,100 to support its Build a Bed project in Harrison County on Friday, Nov. 30. The project will enable 31 students in the South Harrison Community School Corporation to receive beds and related supplies. The $3,100 HCCF award is for $100 per bed. Third graders throughout Harrison County enjoyed a surprise this month when they each received a free dictionary from HCCF. HCCF’s board and staff members delivered copies of “Webster’s Dictionary for Students: Special Encyclopedic Edition” to 440 students. Copies of the dictionary were also given to third-grade classroom teachers and elementary school libraries. All Harrison County elementary schools participated. and The Dictionary Project. The Dictionary Project is a 501(c)(3) nonprofit organization with the goal of helping students complete the school year as good writers, active readers and creative thinkers by providing them with their own dictionaries. 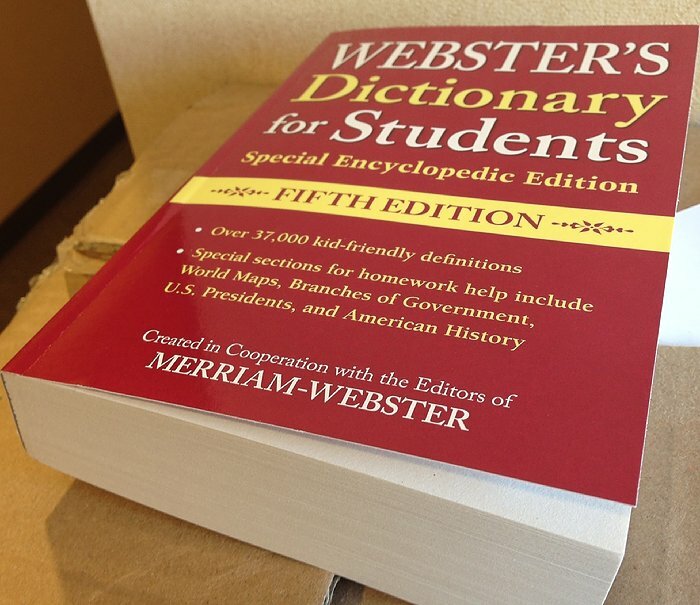 Each dictionary is a gift to each student to use at school and at home for years to come. The scheduled dates for the 2019 sessions of Building Dynamic Boards of Directors are: Tuesdays, March 5 and 12; Thursdays, June 20 and 27; and Tuesdays, Oct. 8 and 15. Including the 58 graduates in 2018, 159 people have taken advantage of this engaging training. The cost of the training is $200, but it will be reimbursed after completion. If you are interested in participating in board training next year, contact Sarah Travis, Administrative Assistant, at 812-738-6668 or saraht@hccfindiana.org. Imagine your child walking onstage to receive a HCCF scholarship. You would likely feel pride and be thankful that the work your child did during high school and the application process paid off. Many graduating high school students will begin the HCCF scholarship process this month by completing the Universal Scholarship Application online. Students and their parents or guardians may not know what happens from application submission until our scholarships are awarded. To learn about this process, visit our website. It’s never been easier to make an impact on our community than now. With our matching gift programs, your gift may be doubled or even tripled for your favorite nonprofit or special cause. With the end of the year coming soon, you may be considering where to put your charitable gifts. With nearly 260 different endowment funds supporting a wide array of nonprofits and causes in our community, you can partner with HCCF to strengthen those organizations that are doing the hands-on work. Knowing what to give is important too. In addition to cash or checks, you may want to consider giving stocks or securities to avoid capital gains tax. If you are age 70 1/2 and have an IRA, consider using some of your required minimum distribution (RMD). If you have it rolled directly to HCCF, you can avoid paying income tax on it. Please remember to notify us at 812-738-6668 if you are planning to use stocks, securities or your RMD to make a gift and allow enough time for your stockbroker or IRA administrator to make the transaction before the end of the year.